Resuscitation Guidelines, what’s new? 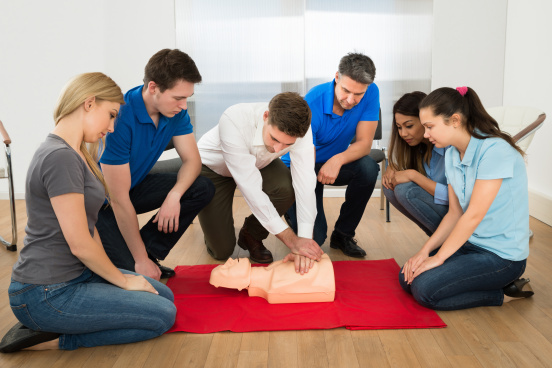 - The Training Co. Resuscitation Guidelines, what’s new? - The Training Co.
Did you know that the principles in the delivery of First Aid to a casualty is continually monitored? The European Resuscitation Council continually takes information from various subject authorities and publishes the guidance every 5 years. So what has been discussed, published and now being delivered since these guidelines came out? Keep it simple, swift and effective. Guidance states that when finding a casualty who is unconscious and not breathing normally a tutor should not be teaching you to ‘shout for help’, realistically who isn’t going to shout for help? So why teach it? Automatic External Defibrillators (AED’s) should be used ASAP but don’t leave a casualty to ‘find’ one, if you know where it is, and it is in reach within 1 minute go for it, if not start CPR. 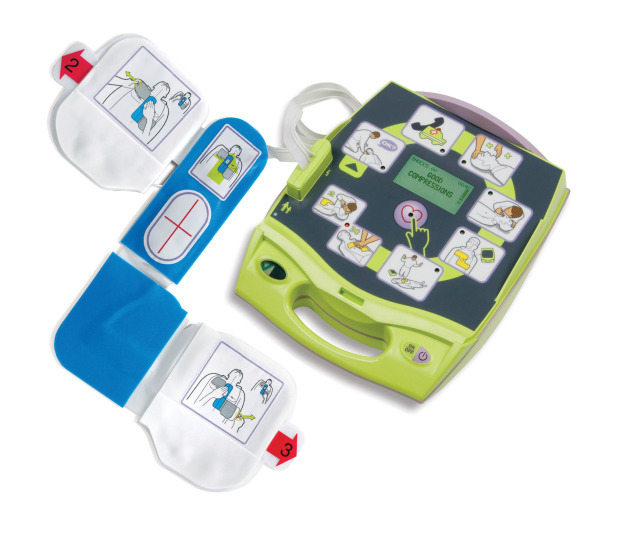 Use the AED as soon as it arrives, but don’t stop CPR to get it ready – only stop when you are just about to use it. Is it still advised? Yes! The Vinny Jones advert (see below) by the British Heart Foundation is fantastic, but it’s aimed at the untrained first aider. If you are a trained first aider you should attempt to do mouth-to-mouth, in the absence of other ventilation aids, and only with protection in the form of a face shield – but it is your choice at the scene. They’re back, but only for specific groups of people where the likelihood of traumatic bleeding if real, i.e. tree surgeons. The guidelines comment that it is common for CPR providers to lean on the chest between compressions. They emphasise it is important not to do this to allow the chest to fully recoil.The recommended ratio of 30 compressions (on chest) to 2 ventilations (mouth to mouth) has not changed. The guidelines highlight that initial recognition of an airway obstruction is vital to the successful treatment of an individual suffering from choking. Schools also get a special mention, The European Resuscitation Council now recommend that all school children should be taught First Aid basics. Earlier this month The Training Co had a standardisation meeting to discuss the guidelines and how they are going to be implemented, so you can be rest assured that all of our trainers are fully aware of how to deliver our range of First Aid courses to meet these new standards. The meeting also helps us ensure that we meet our commitments to the awarding organisations (those that produce your certificates) and maintain our Platinum and Premium Center Status. If you would like to discuss these guidelines further or get in touch to book a First Aid course please contact us now. You can also read more about the guidelines on the UK Resuscitation Council website.